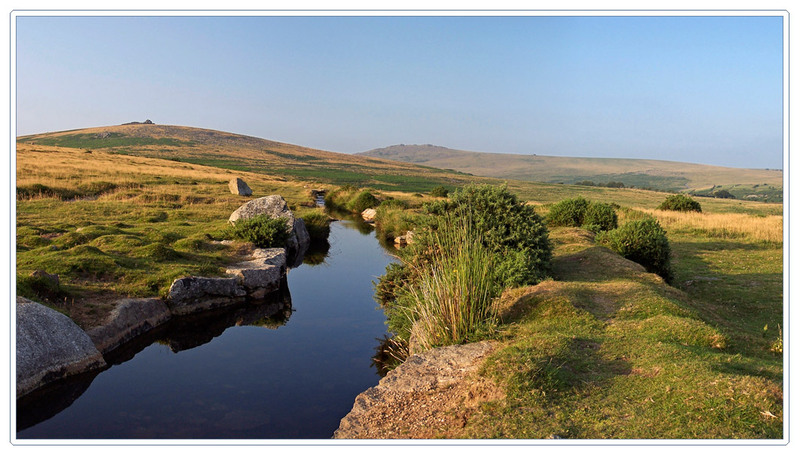 One particularly nice evening up on the moors, the man-made water course here, channels spring water to the local farms. Beautiful. The light is to die for. I so agree with Ladyhawk. First reaction when looking at the photo is "Great light!" Beautiful and peaceful image John. Very nice John. I imagined someone sitting on a rock with a fishing line in the water here. Very serene......cheers.......Don. LOL, not many fish in there, maybe a couple of tiddlers if you're lucky. Actually there's not much water in there at present either! Thanks for the comments, John.